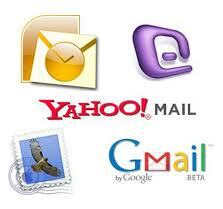 example :- account@yahoo.com So, lets start the ways to get your friend's emails secretly and securely! On the whole world wide web, Yahoo only provides this service to import contacts from facebook, so this will only done on yahoo account, rest of the others can make another account on yahoo and then could signup to facebook for finding the emails. So, Now from this you can find their information. Or you can hack by emails. How To Get Your Facebook Friend's Email? 1) Login To your Yahoo Mail account. 3) Now their select tools and then you will see there is an option of import on yahoo toolbar. ﻿4) Now goto your facebook account login and hit Facebook here on yahoo, Now they will ask you on facebook to import contacts, allow them. 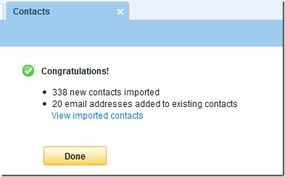 5) After Five minutes they will import all the contacts and emails of your facebook friends they could be 10-1000, depends on your friends list. 6) Now Yahoo has successfully imports your contacts, Goto Your Yahoo Contacts list there you will see all friends email with details. So, I have teach you the steps to get emails of your facebook friends EnJoY!!! !